Paul and his wife, Cindy, celebrated their 37th wedding anniversary in July. They have two adult daughters, Annika and Britta. Paul is actively engaged in the operation of his family farm where he raises corn, soybeans and hogs on the farm first established by his great-grandfather in 1878. Cindy is a retired grade school teacher. She and Paul live on Lake Hanska in Brown County. Paul is a life-long resident of Minnesota, graduate of St. James High School and Gustavus Adolphus College. He and Cindy attend East Sveadahl Lutheran Church in rural Watonwan County where Paul was baptized and confirmed. 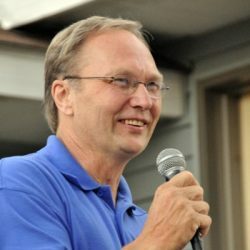 Paul was re-elected in November of 2016 and returned to the Minnesota House of Representatives to serve his fifth term as a member of the Republican Caucus. Paul’s committee assignments for the 2017-2018 Session include serving as Chair of the House Transportation Finance Committee. Paul also serves on the Environment and Natural Resources Committee, the Ways and Means Committee, the Legacy Committee and the Ethics Committee. In addition to committee assignments Paul serves on the Great Lakes Commission and as co-chair of the Legislative Water Commission. In addition to bills directly related to his home district Paul carried a large number of bills related to clean water issues and the agencies that regulate water in Minnesota. Jobs in the private sector are the backbone of our economy. Our government must maintain an economic and regulatory climate where businesses large and small are allowed to thrive. Unchecked growth of government and government spending is ultimately unsustainable. The state’s role in regulation should focus on helping our job-providers thrive while operating within environmental and economic regulations. As a former teacher and husband of a retired teacher, Paul has a solid background regarding education issues. Paul firmly believes that what is best for the students should be our first priority and that local control is an important ingredient for success. Overloading our schools with excessive mandates takes resources away from students. Paul is one of a handful of active farmers serving in the Minnesota Legislature. He understands that the strong ag economy was critical in supporting our state’s economy in the economic downturn. 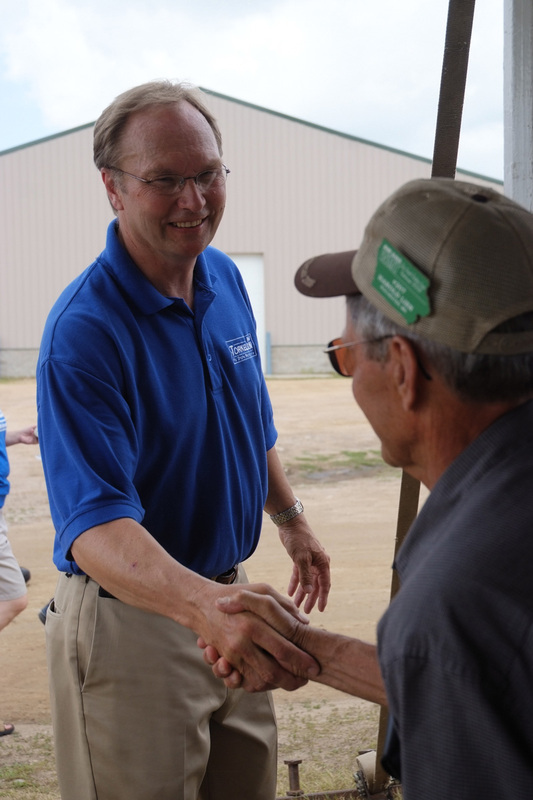 Agriculture is especially important to rural Minnesota and Paul is actively engaged in a variety of issues and doing his best to support producers large and small. Paul has consistently supported the pro-life agenda by cosponsoring and voting for legislation that would strengthen protection of the unborn. Sadly, these efforts have been thwarted by the Governor who has consistently vetoed pro-life bills. Transportation funding for Greater Minnesota roads and bridges will be one of the challenges facing the next legislature. Prioritizing resources for projects like the continued upgrading of State Highway 14 will be high on Paul’s agenda. The Torkelson for State Representative campaign welcomes any feedback or suggestions you have. Please fill out the form or contact us directly via the links below. Thank you!